The family of a murdered Georgia woman denounces the League of the South for exploiting her death to advance its own agenda. UPDATE: The League of the South, under harsh criticism for exploiting the murder of Dorothy “Dot” Dow by Dow’s family, cancelled a planned Oct. 8 rally that was meant to highlight the race of Dow’s killers. In announcing the cancellation on Sept. 22, Tom Davis, the League’s Georgia leader, denied to the Newnan Times-Herald that his group was “a neo-Confederate” white pride organization. That claim came on the same day that League President Michael Hill wrote a blog post attacking “feral negroes” and promising a “forceful response” to black-on-white violence. The League of the South, a white supremacist group whose leader last month urged his supporters to “arm and train” for “open warfare” against “dark-skinned Third World peoples,” says his group is all about standing up for white Southerners. The Dow family of Georgia would prefer that it didn’t. 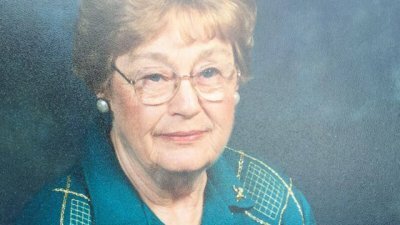 The Georgia chapter of the League is planning an Oct. 8 rally in Grantville, Ga., to highlight the torture-murder of Dorothy “Dot” Dow, an 83-year-old white woman allegedly murdered by a gang of three black men and two black women during an Aug. 2 home invasion robbery. Dow was beaten severely, then set afire by her attackers. She managed to call for help, but died of her injuries on Aug. 27. But Dot Dow’s son, daughter-in-law and grandson say they want nothing to do with the League of the South, which they say is exploiting their family’s tragedy. The League’s use of Dot Dow’s murder is only the latest such case. For years now, racist white groups have been pumping out propaganda about black-on-white crime. Typically, these groups claim that the atrocities they are publicizing were based on hatred of white people. But in the vast majority of cases, police and family members say the killings had nothing to do with race-based hatred. Such is the case with Dot Dow. Officials say the perpetrators had worked for Dow picking blueberries for cash in the past, and apparently believed that they would find money in her house. They call the crime a botched robbery attempt.